Can Pushchairs Be Used from Birth? A pushchair makes it easy to carry children around. Pushchairs can be reclined completely; thus can be leaned either front-facing or parent facing. Therefore, it can be used for both newborns and older children. 1. Can I change the direction the pushchair faces? 2. Is it easy to use and fold? 3. Does it provide a smooth ride for you and your baby? 4. Does it come with accessories? 6. Can it be moved with ease? While some people believe that infants should be carried using a sling until they can support their heads, they grow heavy pretty fast. Carrying a heavy kiddo around is not an easy task, and you may require a pushchair to ease the work. Newborns need to lie flat for at least the first three months, until when they can support their heads completely (usually at about six months). Until then, they are not comfortable being bolted upright. 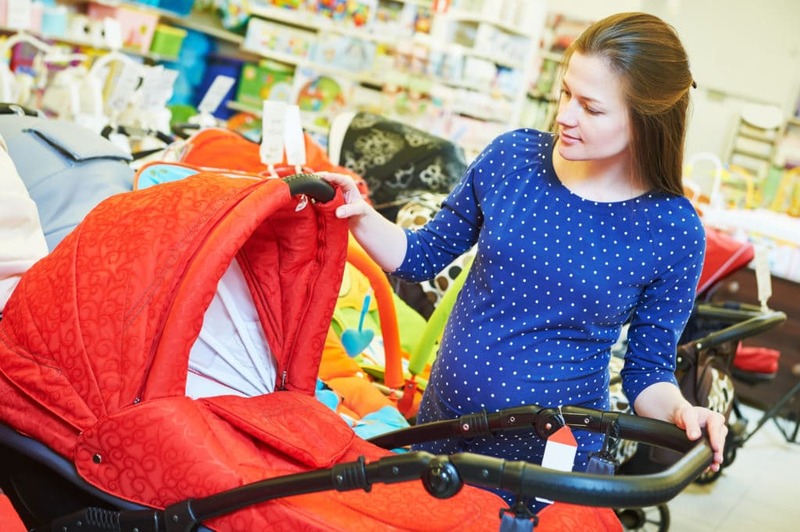 These conditions lead to one fact- you need to select a suitable pushchair for your newborn. When you have a newborn, you are more likely to prefer the baby to face you instead of the rest of the world. Having the baby facing you will ensure eye contact is kept and will also reassure you that the baby is happy and contented. If you are looking for a pushchair that will be useful for long, get one that is reversible. It means that when your baby is older, and they want to face the other side, they can do so comfortably. Consider your lifestyle. In case you use public transport, ensure that you can get it out of the bus. Those who have cars should make sure that it can fit inside the boot. This factor is especially important if you are considering buying an all-terrain pushchair or a travel system. These two types do not fold up neatly. Although lightweight pushchairs are more tempting, consider if it will provide a smooth ride; especially if you have a newborn, and you don’t want him jolted around. If one loves the outdoors, and they want to go off-road while still having a smooth ride, then an all-terrain pushchair will be appropriate. Before purchasing a pushchair, ensure that everything is included in the price. At times, the seats are separate from the chassis. You might also have to buy a hood or a rain sheet for the pushchair. Thus, have all these factors in mind. Almost all pushchairs sold in the UK are safe. However take some time to check things related to safety such as brakes, and ensure they are in good condition. If you are a first-time mom and are pregnant when doing the shopping, consider going with a friend who is experienced at motherhood. Let your friend push the pushchair around and ascertain that it can move quickly. Consider buying one with adjustable handles; they will come in handy. If you want to purchase a pushchair that will last for a long time, consider buying one with a flexible backrest and a reversible seat. A travel system may not last for long since the baby will outgrow it soon. Such pushchairs are appropriate for newborns, and usually, have a seat that may face away or towards you. Most often, you will find handy features in such pushchairs; such as enclosed carrycots and swivel wheels. They can also be folded easily to fit in car boots. However, they are usually costly and bulky. Such pushchairs are larger thus can fit in twins or older babies. They are ideal for a whole family outing, but most are difficult to push. They are suitable for outdoor use. Usually, they have three chunky wheels and a stable suspension that ensures a smooth ride through a bumpy road. Most are larger than the standard pushchairs, and not all can fit in all car boots. They have a pushchair chassis and come together with a car seat attachment or carrycot. These features ensure that all your baby’s travel needs are available in one pushchair. Even though it is very useful, it is possible for your child to outgrow this kind of pushchair.